Wacom tablet Theremin soft synthesizer. Play like on Theremin, but instead of moving hand in the air, move pen over wacom tablet. Volume is modulated by pen pressure, instead of left hand movement in Theremin. For better experience, use Wacom digitizer with pressure detection. 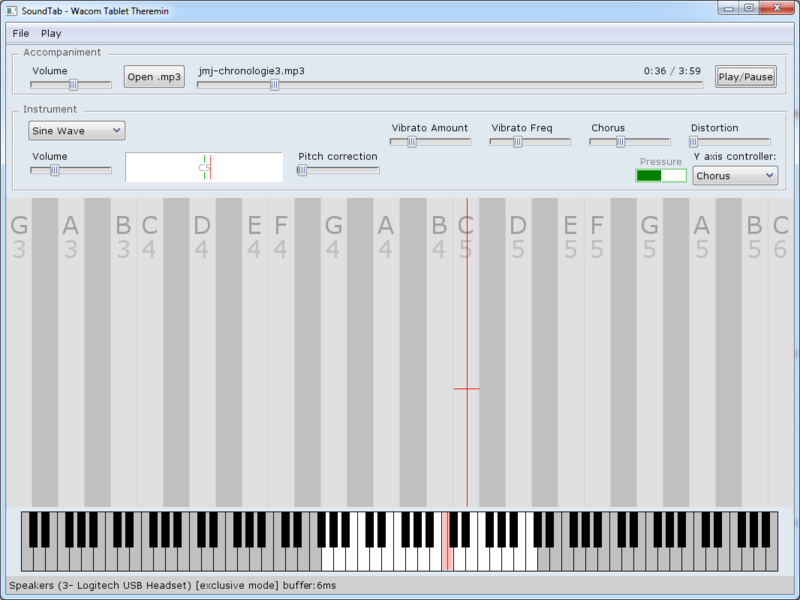 You can play with mouse as well, but w/o volume modulation (no pressure information), and less precise positioning. It's possible to play accompaniment MP3 track inside SoundTab (useful since in exclusive mode you cannot playback from other apps to the same device). Currently only Windows platform is supported due to used Audio and Wacom Tablet libraries. Although, it should not be very difficult to port it to Linux / Mac. You can download prebuilt binaries from Releases section on GitHUB. You will need some D compiler (e.g. DMD or LDC) and DUB utility. Invoke DUB to build and run application. You can find built binaries in soundtab/bin folder. In Main Menu, select File/Settings item. 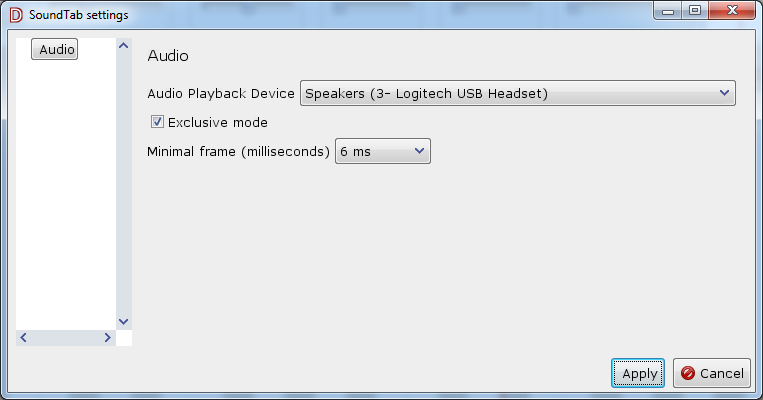 Select audio output device, Exclusive/Shared mode, and minimal frame length. For better responsibility (lower latency), check Exclusive mode. If you hear glitches while sound playback, choose bigger value of Minimal Frame Length (milliseconds). Lowest latency is achievable on Win 10.